Greg Ragland. I have been an assistant professor in the Department of Integrative Biology at CU Denver since 2016. When I am not immersed in bugs and data, I am usually wrangling my daughters, hiking, running, or cycling. Jantina Toxopeus. (website) I joined the lab in October 2018 to study the relationship between overwintering and thermal hardiness in several insect systems, and to develop RNAi knockout of diapause candidate genes in Rhagoletis. I completed my PhD dissertation in Brent Sinclair’s lab, studying mechanisms of insect freeze tolerance. McCall Calvert (Mac). I am broadly interested in the mechanisms and processes that contribute to host shifts in phytophagous insects. In the Ragland lab, I am engaged in projects to identify genes responsible for host synchronization in Rhagoletis pomonella and the suite of parasitoids that attack them. I also hope to dig deeper into questions surrounding the evolution of host generalism. I have previously worked on disease vector population dynamics and control, mule deer migration, systematics of Bactrocera spp., and ecotoxicology of estuarine systems. Marianne Davenport. (website) I am a current graduate student at the University of Colorado Denver and study the spruce bark beetle, Dendroctonus rufipennis, which is causing tree mortality in Colorado’s upper elevation forests. I am most interested in biotic and abiotic factors that promote and support increased populations. Previously my research has focused on changes in surface fuels and tree regeneration following the mountain pine beetle (Dendroctonus ponderosae) epidemic in ponderosa pine (Pinus ponderosa) forests in the Colorado Front Range. Lalitya Andaloori. Lalitya is a UROP-funded student working on the overwintering metabolism of rose flies (Rhagoletis basiola) distributed across altitudinal gradients in the Colorado Rockies. Manaal Dalwadi. Manaal is completing a directed study project on diapause of Dendroctonus beetles. Erina Rader. Erina is a UROP-funded student working on long-read sequencing to elucidate inversion breakpoints associated with adaptation in Rhagoletis. Matin Sanaei. Matin joined the lab in Fall 2018, and is working on how metabolic rate changes with development in Rhagoletis pomonella. He’s also studying how neurons develop in Rhagoletis brains. Phil Freda. (website) completed his PhD at Kansas State in 2018. He studied how insect performance varied across life stages in Drosophila melanogaster by estimating genetic correlations in thermal limits across metamorphosis using the fully sequenced Drosophila Genetic Reference Panel (DGRP). 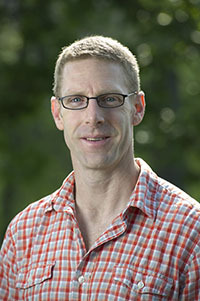 Eddy Dowle (website) was a postdoc in the lab from 2015 – 2017 studying local adaptation and population structure in the Mountain Pine Beetle and developmental transcriptomics of diapause regulation in apple maggot flies. She is currently a postdoc in the Gemmell lab at the University of Otago. You-Jin Hao, Chongqing Normal University , Chongqing, China. You-Jin is an insect molecular biologist who studies mechanisms of seasonality and diapause regulation. He is currently developing RNAi approaches in Rhagoletis pomonella and is collaborating on studies of gene expression and developmental dynamics during diapause development. Adam Schieferecke was a summer research assistant who mined genomic and transcriptomic data for diapause candidate genes and worked with Phil on thermal physiology experiments in spotted wing drosophila (Drosophila suzukii). He is now completing a BS/MS at KSU after earning a prestigious Barry M Goldwater scholarship. 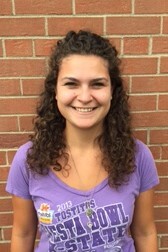 Mariah Brown worked on various thermal ecology experiments in D. melanogaster and suzuki, and continues to work towards her BS at KSU. 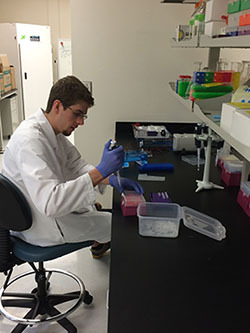 Evan Keep worked on gene orthology and comparative transcriptomics as a summer REU student. He has recently completed his BS and is now employed at LabAnswer. Dan Hahn and Tom Powell (U. Florida), Jeff Feder and Mike Pfrender (Notre Dame), Barbara Bentz (USDA), Karen Mock (Utah State U. 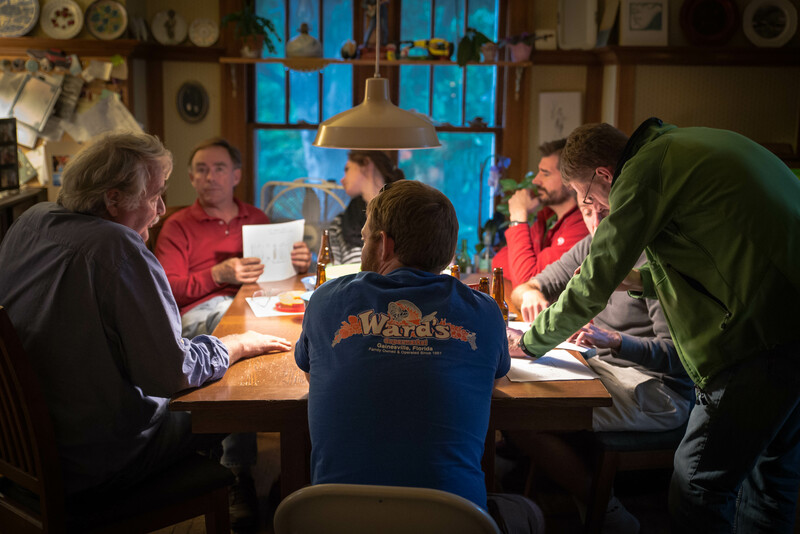 ), Stewart Berlocher and Hugh Robertson (U. Illinois), Christian Stauffer (BOKU, Vienna). Photo credit: Hannes Schuler.